2175. A spayed cat still caterwauls. Why? Kidney stones do occur in dogs. 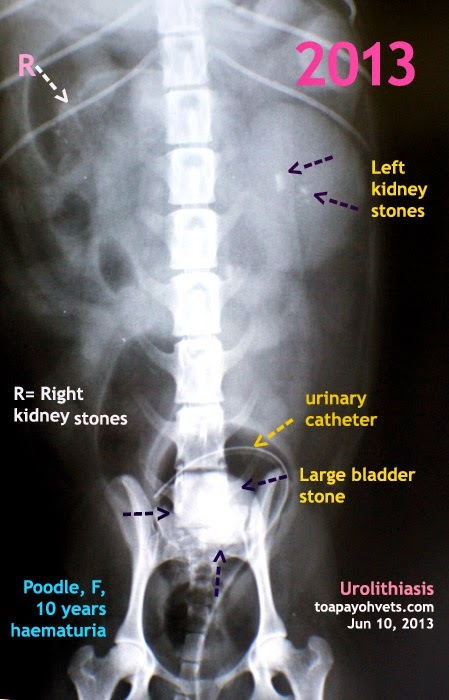 In this 10-year-old poodle, they were small specks of kidney stones seen in the X-rays in 2013. I had removed the bladder stones and had advised that the minor struvite kidney stones could be dissolved with prescription S/D diet over 1-3 months. Regular urine tests, blood tests and X-rays needed to be done to ensure that the stones had been completely eliminated. However, the owners did not return for follow ups over the next two years. Nor did they come for annual check ups. They fed brown rice and minced beef mainly. 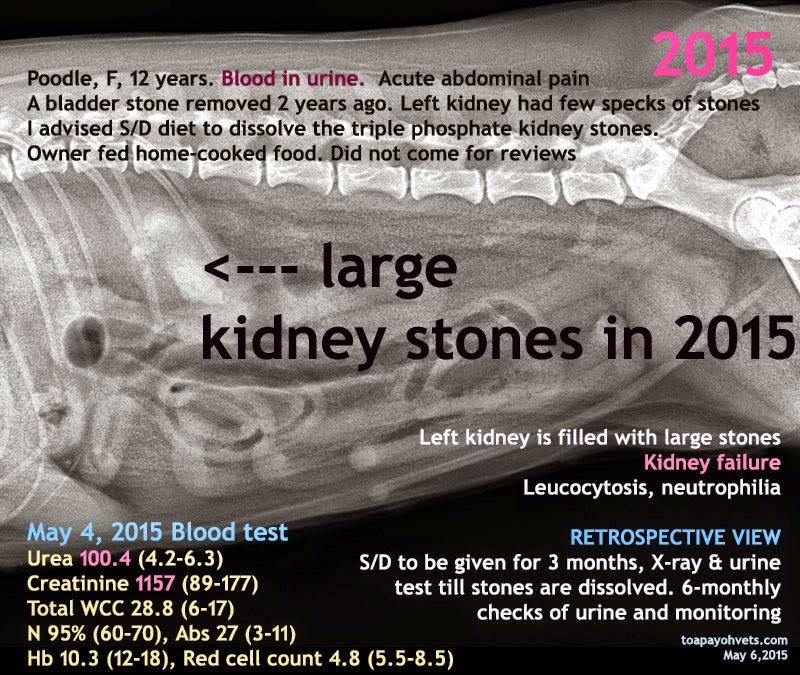 In 2015, they came as the poodle was passing blood in the urine. 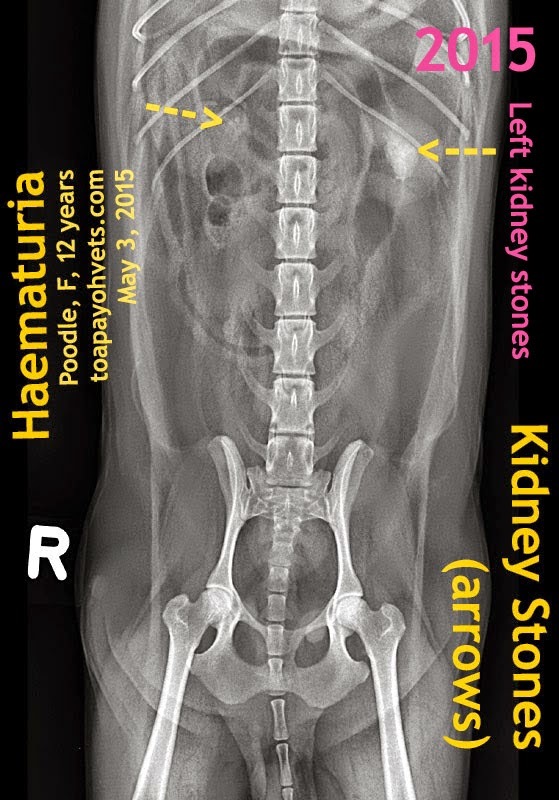 She had extremely painful kidneys and the left kidney stones had become gigantic as can be seen in the 2015 X-rays. 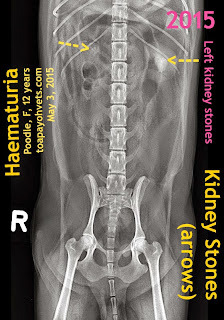 Blood test indicated kidney failure. 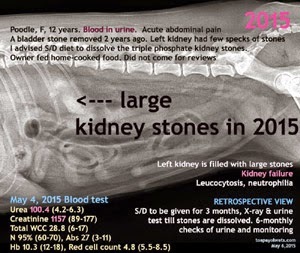 The dog could have lived longer if she had been fed the S/D diet till the stones dissolved from 1-3 months. This poodle was euthanased. 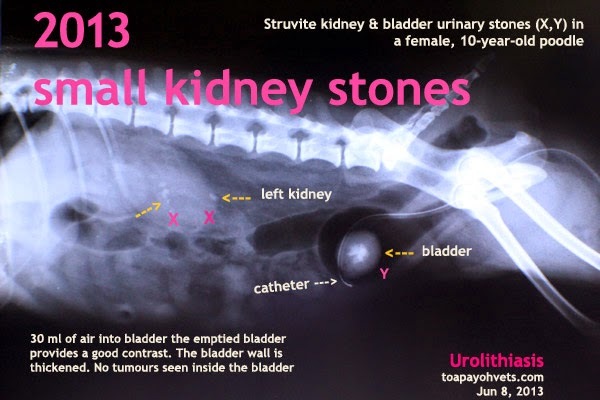 I hope thiscase study may save lives of dogs in a similar situation with small specks of struvite kidney stones. Struvites can be dissolved by dietary management. Regular monitoring over the year is necessary.